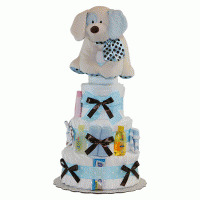 Deluxe Diaper Cake Delight Baby Boy Gift is elegant and special. First, it looks absolutely fantastic. 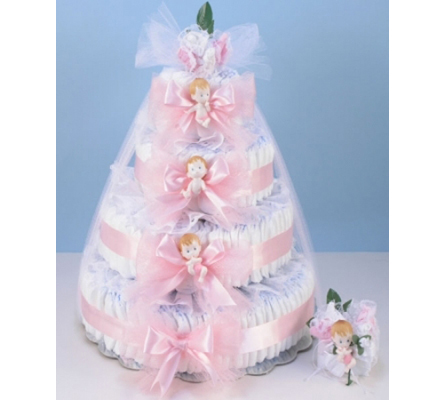 Fourlayers of newborn sized diapers, abundant use of ribbon and tulle, and the cutest little cupie dolls gives this deluxe diaper cake a visually striking appearance. 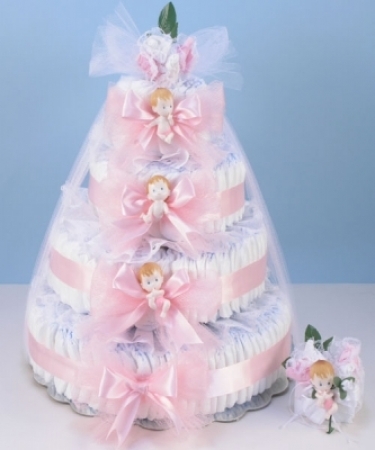 Next, the diaper cake is topped off with an adorable sock corsage that is made with two pairs of socks for baby, and is removable for the new or expectant mommy to wear. 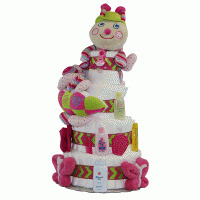 Think of what a great baby shower gift this would be. 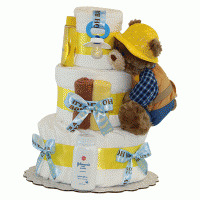 Finally, Deluxe Diaper Cake Delight Baby Boy Gift includes plenty of diapers, 152 in all!